There are at least two Chinese automobile manufacturers building Humvee copies, possibly with the assistance of AM General. Both Humvee copies rely heavily on imported U.S.-made parts including chassis, gear box, and diesel engine. It appears that at least one company, Dongfeng Motor Corporation (DFM), has the full consent and cooperation of AM General.] Both manufacturers claimed that they will be able to gradually increase the percentage of indigenously made content on the vehicles in the future, since the PLA was unlikely willing to accept any equipment that relies largely on foreign made parts. A 100% Chinese parts finalization process passed the PLA's design finalization trials in 2006, paving way for increased domestic production. During the 1988 Beijing Defence Exhibition, AM General demonstrated an example of its M998 4x4 high-mobility multipurpose wheeled vehicle (Humvee) to the People's Liberation Army. The vehicle was reportedly left in China after the exhibition closed for further testing and evaluation. The PLA did not show much interest initially due to the vehicle’s high unit price and maintenance costs, but this attitude was somehow changed during the 1991 Operation Desert Storm, when the Humvee gained high publicity in front of press cameras. 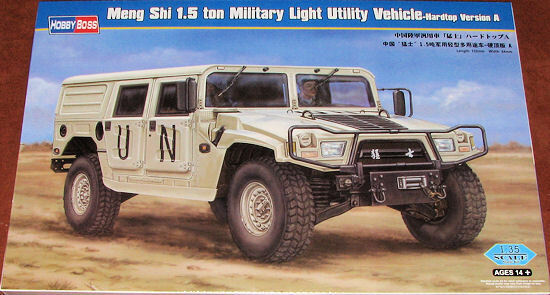 The Chinese petroleum industry has purchased a small number of Hummers, the civilian version of the Humvee, through commercial sources from the United States since the mid-1990s. This provided the Chinese auto makers with an opportunity to examine the vehicle closely and for reverse-engineering. In 2002, Shenyang Aircraft Corporation (SAC) revealed its Humvee copy known as SFQ2040 “LieYing” (Falcon). Later in 2003 another Humvee copy EQ2050 'Dongfeng Armour' developed by DFM made its debut in a car show. Both companies are actively promoting their products to the PLA as a potential candidate for the replacement of the Soviet-inspired jeep-size BJ2020 series light utility vehicles currently used by the PLA. The general designer of Dongfeng EQ series is Mr. Huang Song (黄松), and the general engineer is Mr. Sun Tiehan (孙铁汉). If you have every built a Humvee, then this one will look familiar to you. Hobby Boss' latest military vehicle kit is a curbside (it does not have a full engine), but that does not mean it is lacking in detail. 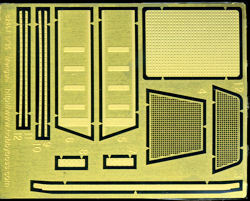 The kit includes a nicely done and somewhat minimal (in terms of parts) photo etch fret, so those who a re not used to the medium will not have any real issues. The majority of this fret is for the rear cargo bed as well as the engine screens. The kit comes with four nicely molded vinyl/rubber tires and has a well detailed suspension. This is attached to a separate frame on which the body parts are later attached. The body has separate door openings and it appears one could easily build this one with a door or two open. A well detailed dashboard is provided along with a decal for the instrument cluster. Each seat is made up of six parts and a bit of trimming is needed to install the head rests. When it comes to the doors, these are a two part affair that traps the window transparency between them. The clear parts are all on precut acetate sheets. The rear doors are also separate items. A nicely molded top is included with the kit and I have to assume this is the 'Version A' hardtop that is mentioned on the box top. 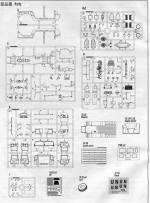 Instructions are well drawn as you would expect from Hobby Boss. 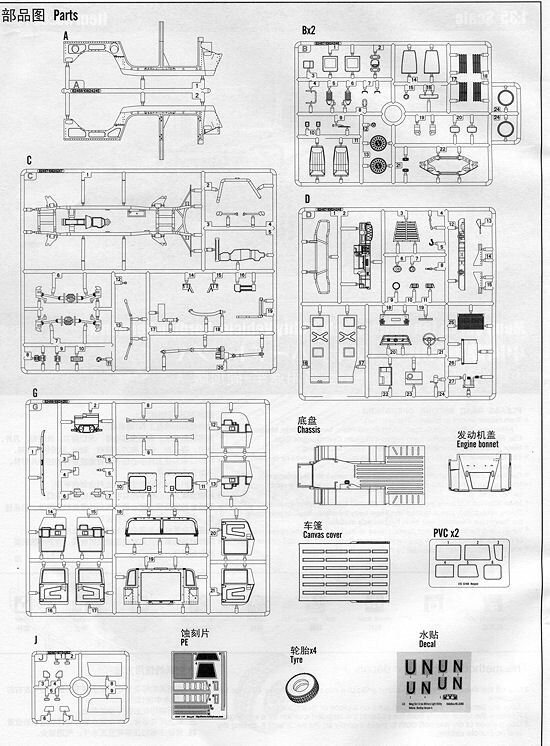 Also typical of Hobby Boss military kits, there is no color information provided during construction, so you are on your own as to the color of interior components. The exterior painting and markings guide is in full color with several paint references. Two color options are provided. One is the white vehicle as shown on the box art with UN markings on the door. These are the only vehicle markings provided on the decal sheet. The other is a standard olive green version that is devoid of any external markings. The decal sheet (not shown) is well printed and in register. Another very nice Hobby Boss military vehicle kit of a subject that few others would have kitted. This one looks like it will be a trouble free build, thanks to the paucity of tiny parts that one often finds on military vehicle kits. I know it will look quite nice next to a standard US Humvee. Thanks to Squadron Products for the preview kit. You can find this one at your favorite hobby shop or on-lineretailer.